When she’s not working in the lab, Ohara loves attending concerts, art expositions, movies, and theatre plays. She also enjoys listening to music, reading, and cooking. Some of Ohara’s favorite recipes to prepare are a Brazilian meat and bean dish called feijoada and a rice dish called paella. Ohara seeks to understand how free radicals and related oxidants are produced in organisms and how they affect an organism’s physiology. Free radicals are continuously produced in organisms during metabolism and through interactions with the environment, and they play crucial roles in physiological and pathophysiological processes. Ohara grew up in Brazil in a lower middle class family where she didn’t have any exposure to science and didn’t realize you could have a career doing research. She attended a technical high school and planned to be a chemical technician because she believed it would lead to good job opportunities. Because she loved working in the lab, Ohara decided to pursue a BS in chemistry afterwards. In order to make enough money to support herself during college, Ohara had to work at night as a high school teacher which meant she didn’t have a lot of extra time to spend in the lab. Ohara’s passion for research was rekindled by a friend who recently finished his PhD and shared with her the book The Principles of Biochemistry. After that, she was on her way to earning her own PhD and embarking on an exciting career in science. It can be difficult when a project returns negative results or an experiment doesn’t work as expected, but some of the most frustrating challenges Ohara faces are related to doing science in an emerging country that is still developing in some parts. As a result, it can take 2 months sometimes for critical reagents to arrive for time-sensitive, competitive research she is doing. In contrast, those supplies could often be obtained in 2-3 days in a country like the US. Ohara shares two stories of thrilling moments in her own research. In one, she stumbled upon an interesting finding when she noticed that one of her reactions turned red instead of the normal green color. When she repeated the experiments in two different conditions (one in the presence of oxygen, and the other without), she realized an important feature of how that chemical reaction worked. The other exciting scientific moment she describes is when her team was the first to detect the carbonate radical in a reaction under physiological conditions using electron paramagnetic resonance (EPR) spectroscopy. Ohara traveled to Kyoto, Japan for a scientific meeting during the cherry blossom season, and she stayed in Kyoto for an extra week afterwards for vacation. Experiencing the sense of Asian tradition was remarkable, and it was delightful to spend time laying down in the park contemplating the beautiful cherry blossom trees. It was the early 1970’s when Ohara was working on her PhD. In the lab, there was a tradition where one of the technicians would make coffee every morning and every afternoon. Many professors would come through the lab to get coffee and gossip about everything that was happening in the institute. It was entertaining to see everyone gathered together and hear their stories. Don’t give up. Sometimes things are difficult due to money or other challenges. If you enjoy science, keep going because it is worth it. If you like science, enjoy it and pursue it. 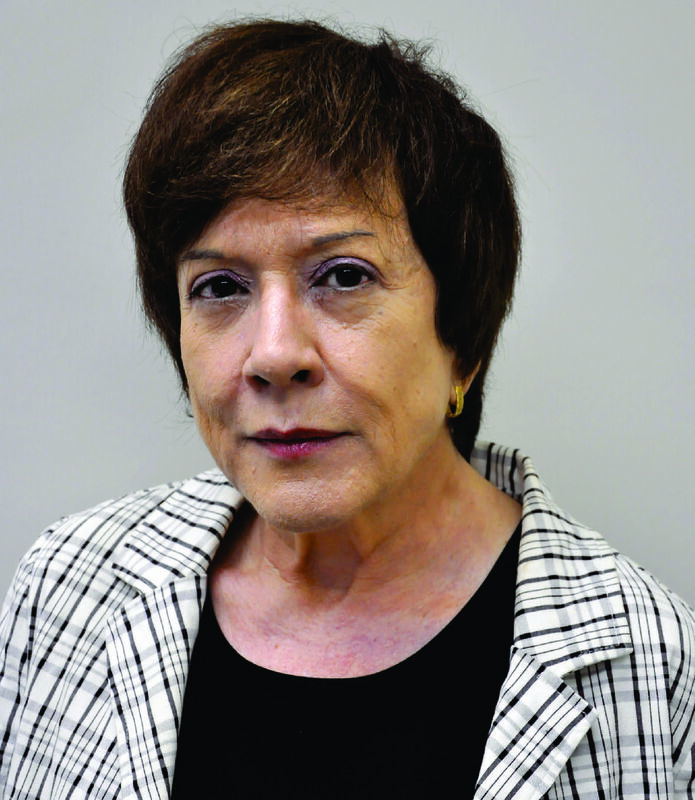 Ohara obtained her BS in Chemistry (1971) and her PhD in Biochemistry (1975) from the Universidade de São Paulo, São Paulo, Brasil. To learn to detect free radicals by EPR, she did PD work in Lester Packer´s laboratory at UC Berkeley. After a year, Ohara moved to Paul Ortiz de Montelano´s laboratory at UC San Francisco to apply EPR to drug metabolism. These studies contributed to uncover the mechanism by which some drugs are metabolized by hemeproteins to carbon-centered radicals that attack the heme, inactivating the proteins. In 1982, Ohara resumed her position as Assistant Professor at the same University of her graduation. There, she continued to explore the production of radicals during drug metabolism, and she teamed with Shirley Schreier to create an EPR facility. Their facility attracted researchers from across Brazil and Latin America. Ohara collaborated with many of them, including with Rafael Radi´s group from Universidad de La Republica, UY. Sharing their expertise, they demonstrated the formation of radicals from proton- and carbon dioxide-catalyzed decomposition of peroxynitrite. The discovery of nitric oxide as a signaling radical had a major impact in the redox field bringing in the concept of redox signaling and new reactive species, such as peroxynitrite, nitrogen dioxide and carbonate radical. Ohara contributed to open some of these avenues and continue to explore them. She became Full Professor of Biochemistry in 1993 and received several scientific honors and awards. Since 2013, She is the coordinator of the Research Center for Redox Processes in Biomedicine-Redoxoma.